Allergen handling is the responsibility of the food manufacturer to safeguard consumers. The severe consequences that can be suffered by producers when things go wrong can be catastrophic. This is why the clear labelling of products, safe storage and traceability are all important measures that can implemented at the manufacturing stage. Here, we provide advice that can be put in place to help you to reduce the risks associated with allergen handling to ensure you retain your integrity and brand reputation. Why Do Food Manufacturers Need to Consider Allergens? Spending time on preventing issues is far better than managing the consequences. The UK has some of the highest prevalence rates of allergic conditions in the world; over 20% of the population are affected by one or more allergic disorder (M. L. Levy, 2004). According to 'Allergy UK' 44% of British adults now suffer from at least one allergy and the number of sufferers has grown by approx. two million between 2008 and 2009 alone. "Almost half (48%) of sufferers have more than one allergy" (Mintel, 2010). The symptoms experienced by allergen sufferers vary from mild to severe anaphylaxis to sickness and digestive issues. In 2018 there was an increase in hospital admissions for anaphylaxis by 615% (Turner, Paul J. 2015). 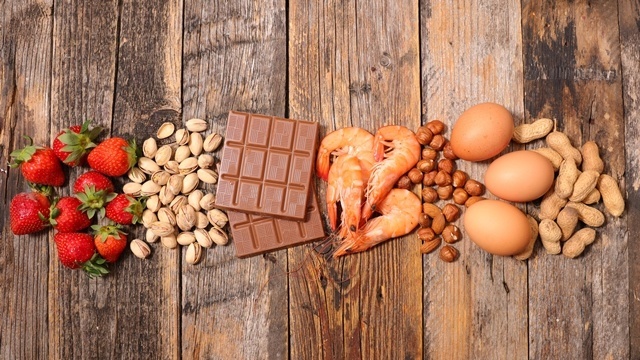 The majority of suppliers in the food manufacturing industry have taken the allergen challenge head-on, creating new opportunities for growth and not just acting to solve the problems that are presented. Most manufacturers now perform full clean-downs after each batch/recipe is produced or use separate production line/rooms for ingredients that contain allergens. Equipment and production lines are swabbed and tested regularly to confirm that acceptable traces of allergens have been removed in the cleaning process. Operators are well-trained, and ingredients clearly labelled with some producers also introducing automated procedures to reduce the risks associated with human error. Even the smallest trace of an allergen could cause a reaction, from airborne dust particles to an operator re-using the same gloves to handle ingredients, every measure needs to be considered, documented and adhered to. From sourcing of ingredients and production, to storage, transportation and point of sale, trace-ability is the key to reducing allergen risk. This is the only method which tracks your procedures and guarantees your foods safety. The World Health Organisation advises on food safety “from farm to plate.” The HACCP (Hazard Analysis Critical Control Point) system highlights where risks might transpire within the food manufacturing process and suggests what measures could be put into place to prevent those risks. The FSA also controls, monitors and advises manufacturers on food safety, labelling and processing protocols. 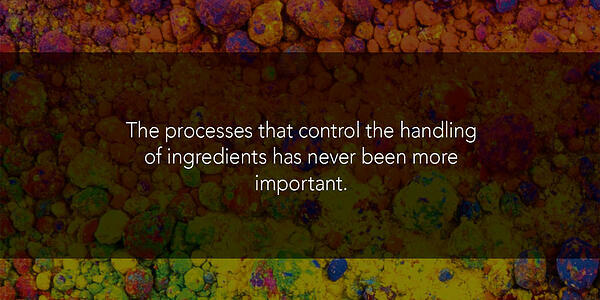 Ultimately, it is the manufacturer who is responsible for their products and consumer outcomes. Our specialist engineers have a range of solutions to ensure allergen risks are prevented in your facility. They have you covered in all areas of your production with containment, cleaning and storage solutions. Matcon’s Intermediate Bulk Containers (IBCs) can be used to process, store and transport your bulk material solids, powders, granules and tablets, separating recipes during formulation, blending, packing and cleaning. This ensures that no powder (containing allergens) escapes, contaminating other equipment and batches. IBCs also maintain a dust-tight seal during discharge using Cone Valve technology, eliminating any powder leakage during processing. IBCs transport ingredients around your facility and are used within the blender itself, completely removing the need to clean during production. The flexibility that IBCs give manufacturers will reduce risks and increase OEE significantly to improve efficiency across the complete powder handling process. 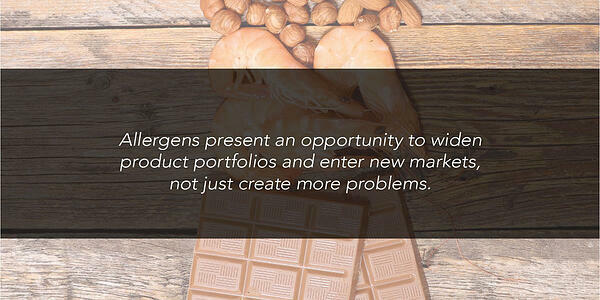 To read more information on allergen prevention in food manufacturing download the free whitepaper.